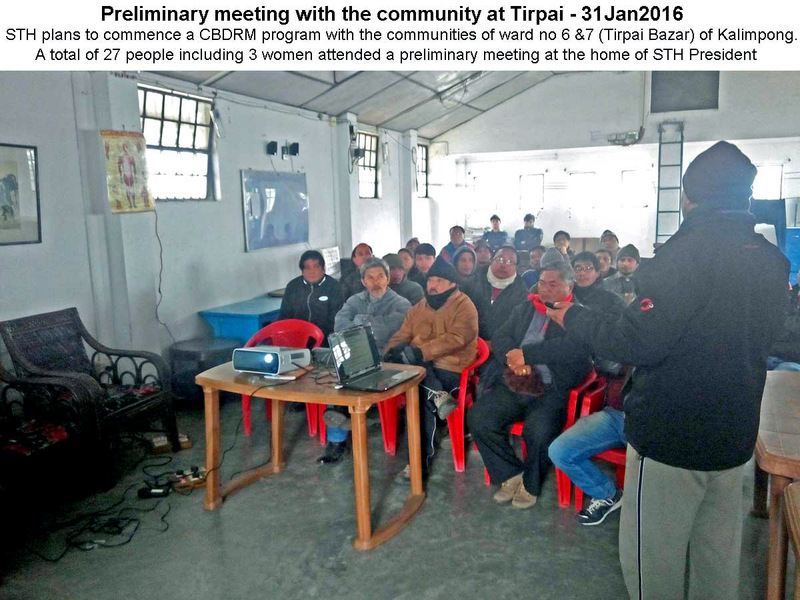 STH has worked on DRR with rural communities earlier. 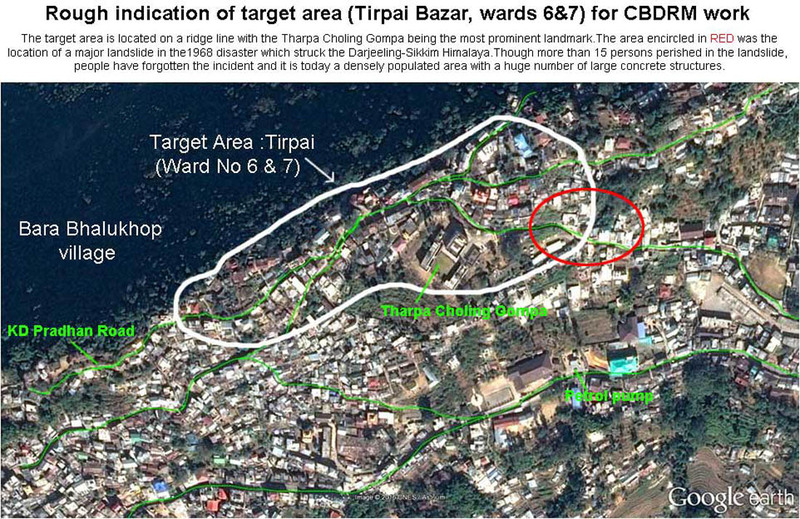 We intend to carry out DRR work in an urban environment in Tirpai Bazar (which is also where I live). 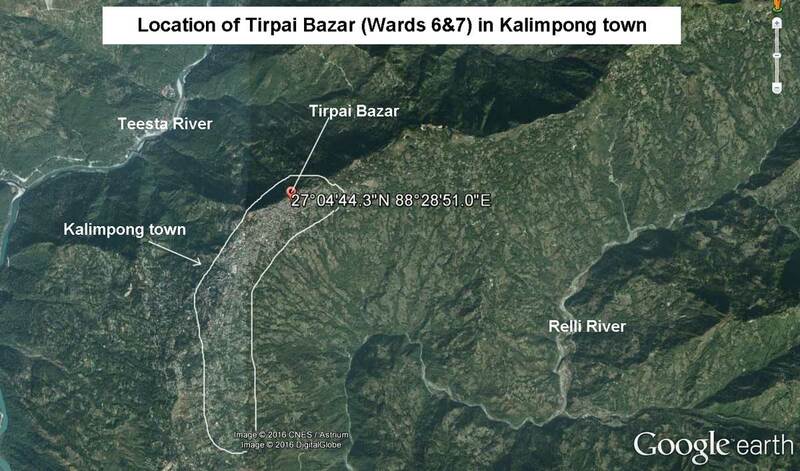 Tirpai lies on the northern edge of Kalimpong municipal limits (see TOP Google Image) and comprises of Ward No 6&7. We estimate the population to be around 2500 (see CENTRE Image showing a very approximate map of the area of intended work). 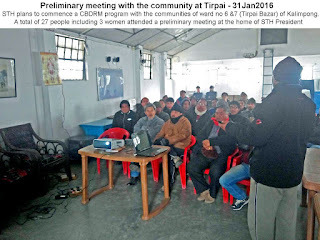 We held the first meeting with community people at my home (BOTTOM Image) in Tirpai yesterday where I elucidated the hazards and risks we living in the Darjeeling- Sikkim Himalaya are exposed to and what an empowered community can achieve in DRR. 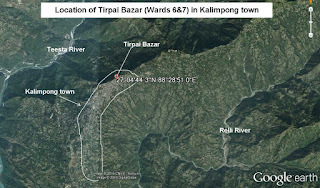 I vividly remember a major landslide near Tirpai in 1968 which killed more than 15 persons; last year too, 2 persons lost their lives close to Tirpai Bazar on 01July2015. 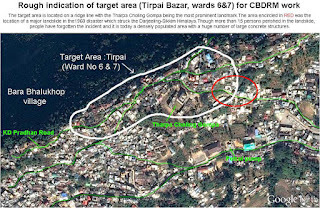 We have formed a core committee of 7 people of this area for taking the work forward and we will be taking help from the civil defense, State IAG and others for this work.